During December, I am a baking whirling dervish. 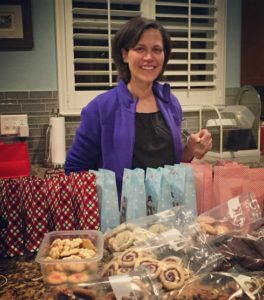 I bake hundreds of cookies to hand out to family, friends, coworkers, and students. My freezer (and tummy are full.) However, in December of 2010, I was swamped. I was teaching full-time and attending graduate school part-time. (Because I hate free time.) And I REALLY wanted to bake. Getting ready to give Christmas cookies away! However, I had tests to take, papers to write, and so many papers to grade. Not to mention that I had family coming into town and invitations to holiday parties. November and December can be a busy time for everyone, but especially difficult for students. You want to have fun with family and friends at the exact same time that school is getting REAL serious. While having fun is . . . fun, it can also derail your academics. When in school, you only have one job – get good grades. That’s it. And that sometimes means you have to give up time with family, friends, and Netflix to get your job done. It’s never fun, but getting good grades NOW, sets the stage for a better life down the line. That being said, you don’t have to hole up in your bedroom all December and only study. 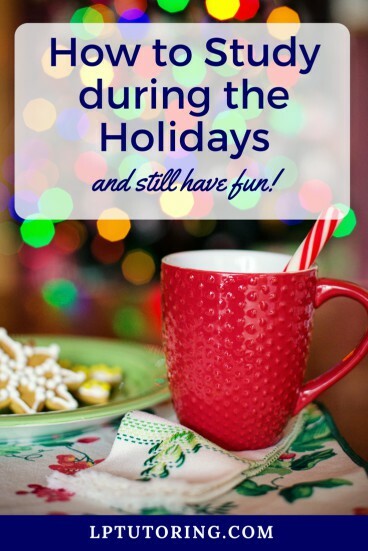 There is a way to balance schoolwork and holiday fun. 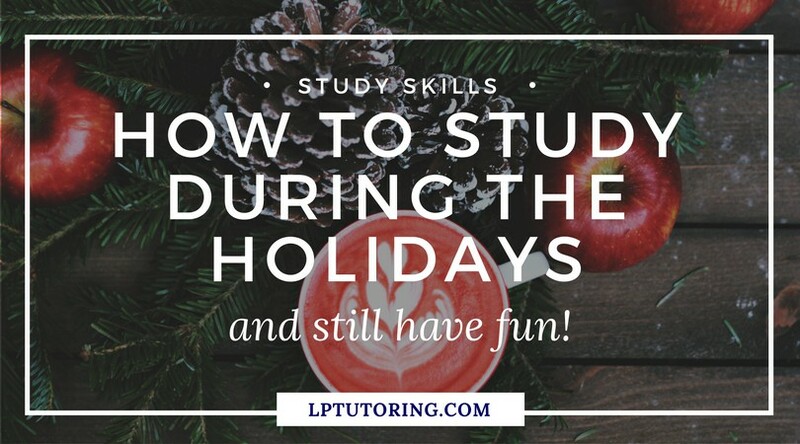 Here are some of my best tips to help you finish the semester strong and enjoy some of the holiday spirit! 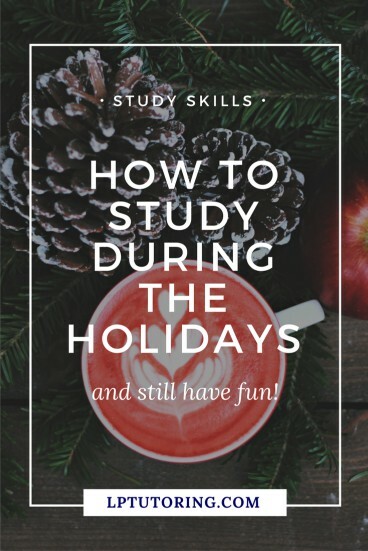 How to Study Effectively during the Holidays! Select 2-3 things that are the most important to you this season. Write them on a sticky note and place it someplace you will see it often – the bathroom mirror or the fridge are good. For me in 2010, my priority was completing my capstone project and keeping up with grading. Everything else was negotiable. When you make priorities, it also means that some things get tossed to the side (for the time being.) Even though I REALLY wanted to bake, I didn’t until my grad school semester was finished. And then I baked like crazy for a solid week. If you aren’t already using a planner, start now. You have to be efficient with your time, which means knowing what time you have. When I was in grad school, I had a very rigid schedule that I had to stick to. I knew my time, down to the minute. It wasn’t flexible, but it allowed me to do everything I needed to. Pick up my favorite planner from Order Out of Chaos or print off these planner pages. Ready to set up your planner? Head over to my post on planner use. To ensure that you complete all your school (and work!) tasks, you need a study plan. Break down your studying into small sub-topics or tasks. Then schedule each sub-topic or task in your planner. The more specific you can be, the more likely you are to actually complete the task. 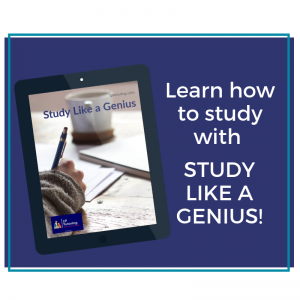 For directions and a worksheet, head over to my study planning post. Many students brag about late nights or even all-nighters. Nothing to brag about, my friends. Your brain works better if you get enough sleep. In fact, much of your learning takes place while you sleep! (Heck, it was while I slept that I figured out Harry Potter was the last horcrux.) If you plan correctly, you can complete your most pressing work and still get sleep. 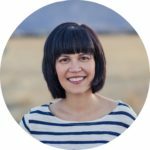 Read more about teen sleep and get tips to get more sleep in my post! Yes, you need to complete your studying, but you also want to see your friends. Slip in some smaller fun activities amid all the studying. And let’s be truthful, how much studying gets done on Saturday night? (Though I have written multiple papers on Saturday nights. I’m wild, I know.) Pick one holiday party to attend or one must-see Christmas movie to watch. After creating your study plan, see if you have time left over for more. It’s hard to sit at home and study when everyone else seems to be having a great time. But remember your priorities! Those priorities will keep you focused, while your planning will allow you to complete your goals AND have some fun during the holidays! How do you stay focused during the holidays? Let me know in the comments below!